In this ever-changing environment, keeping a competitive edge means being able to anticipate and respond quickly to changing business conditions. Denariusoft is a software development company providing IT solutions to Small and Medium Enterprises (SME) in Malaysia. Denariusoft one of the best Web Design companies in Klang. Combining proven expertise in technology, and an understanding of emerging business trends, Denariusoft delivers a range of software development solutions that includes Cheque writing software, Point of Sales systems, e-business solutions, enterprise applications and professional website design. 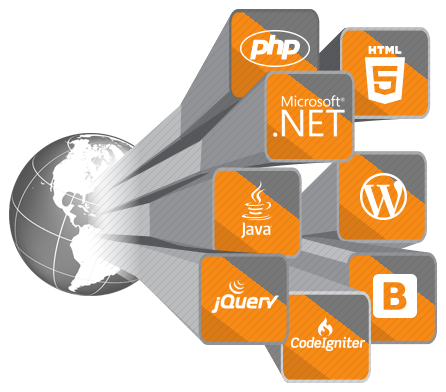 Services offered includes Software development in .NET, PHP and Java. Which also includes e-Commerce Portal, SEO & SMO services, Paypal integration services, Linux and Windows server administration services, Enterprise mailing solutions, Mobile application development in Android and iPhone platforms and much more. We study, design, develop, enhance, customize, implement, maintain and support various aspects of information technology. Denariusoft one of the best Web Design Companies in Kuala Lumpur. At Denariusoft, our professionals work on the cutting edge technology. Our reputation for excellence and delivery is a direct reflection of our people. Denariusoft one of the best Web Design companies in Selangor. We aim to carve a position in the forefront, and it is our continuing goal to gain the trust of our clients. Our Motto is to serve the purpose of our clients to their satisfaction. Denariusoft mission is to solve challenging technical problems in partnership with our clients. We aim to develop specific needs of clients whether it may be software development, Web Design, Graphic Design, Software Customization or SEO. Our mission is to enhance the business operation of its clients by developing and/or implementing premium IT products and services. Denariusoft one of the best Web Design companies in Malaysia. We understand the business needs of our clients, and how technology can be a tool to make modern businesses more profitable. Denariusoft one of the best Software development companies in Klang. Denariusoft combines technical excellence with great customer service and value for money. We value creativity and collaboration. We create new teams for each project, ensuring the best possible combination of skills and experience to meet the client's needs and deliver high quality solutions. Denariusoft one of the best software development companies in Kuala Lumpur. Our technical expertise allows us to take on projects often perceived as complex or difficult by other developers that doesn't leave a dent on the client's coffers. We believe in working in partnership with our clients to understand their unique needs and working methods. Denariusoft one of the best software companies in Klang. In our experience, working together consistently results in creating intelligent solutions to meet our client's evolving business demands. Denariusoft one of the best software companies in Malaysia. Providing high quality software development services, professional consulting and development outsourcing that would improve our customers’ operations. Making access to information easier and securer (Enterprise Business). Improving communication and data exchange (Business to Business). Providing our customers with a value for money.